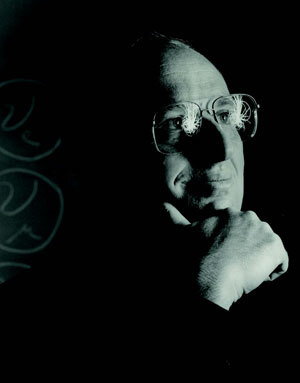 Abraham Seiden, professor of physics, has led the Santa Cruz Institute for Particle Physics (SCIPP) since its founding in 1981. At the end of June, he stepped down as director of SCIPP and returned to full-time teaching and research. "It's been 30 years and I thought this was a good time to step down," Seiden said. "We've broadened the scope of our research programs dramatically, and I'm very proud of the scientists and staff we have. It's been an honor to help facilitate these programs." Steven Ritz, a professor of physics who has been associate director of SCIPP since joining the UCSC faculty last year, replaced Seiden as director. In celebration of the 45th anniversary of UCSC's first class, which arrived on campus in fall 1965, we'll be rolling out online profiles of 45 alums who are having an impact on our world. In addition, we'll highlight five young up-and-coming alums in anticipation of the campus's 50th anniversary. 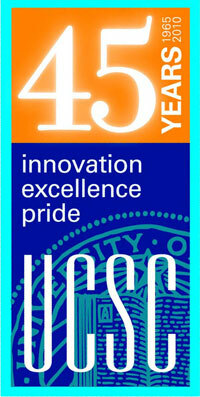 Visit ucsc.edu/45years. Help us commemorate this important milestone! We hope you'll feel a sense of Slug pride when you read about these outstanding individuals. Jerry Nelson, professor of astronomy and astrophysics, received the $1 million Kavli Prize in Astrophysics along with two other researchers for their innovations in the field of telescope design. The achievements of Nelson and his co-recipients—Roger Angel of the University of Arizona, Tucson, and Ray Wilson, formerly of Imperial College London and the European Southern Observatory—have made possible the building of telescopes that can see deeper into space and further back in time. Nelson, Angel, and Wilson are among eight scientists whose discoveries in the fields of astrophysics, nanoscience, and neuroscience have been recognized with the award of the 2010 Kavli Prizes, announced in June by the Norwegian Academy of Science and Letters. The laureates each received a scroll, a gold medal, and a share of the $1 million prize for each of the three fields. Nelson is internationally renowned as a developer of innovative designs for advanced telescopes. Chancellor George Blumenthal accompanied Nelson to the ceremony in Oslo, Norway, in September, when Nelson was presented with the award. A new infectious disease spreading rapidly across the northeastern United States has killed millions of bats and is predicted to cause regional extinction of a once-common bat species, according to the findings of a UCSC researcher. 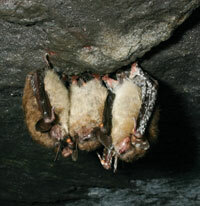 The disease, white-nose syndrome, first discovered near Albany, N.Y., in 2006, affects hibernating bats, writes lead author Winifred F. Frick, in a study published in Science. Frick, a UC Santa Cruz graduate (Porter '98, environmental studies) who is now a post-doctoral researcher in UCSC's Environmental Studies department, said the disease is spreading quickly across the northeastern U.S. and Canada. If death rates continue as they have over the past four years, this disease will likely lead to the regional extinction of the little brown myotis, previously one of the most common species in North America, she said. The loss of so many bats "is basically a terrible experiment in how much these animals matter for insect control," Frick said. UC Santa Cruz in late August launched a newly designed campus home page and a number of related upper-level web pages. The structure and design of these pages reflect input from faculty, staff, students, alumni, and others. The new pages are part of a comprehensive web improvement program, co-led by the campus's University Relations and Information Technology Services divisions. October 22, 2010, at 6:30 p.m.
Students at UC Santa Cruz will now have the opportunity to work toward a B.A. degree in Jewish Studies, beginning this fall. The Jewish Studies major will provide knowledge of Jewish thought, literature, art, and history—with classes taught by faculty across the Arts, Humanities, and Social Sciences divisions. The launching of the new major is largely due to the efforts of Murray Baumgarten, who has been teaching courses and mentoring students in Jewish Studies for several decades at UCSC. Three other programs also launched this fall: a bachelor's program in cognitive science, and doctoral programs in film and digital media and visual studies. UC Santa Cruz alumni from all areas of the writing and publishing professions will return to campus on Sunday, May 1, 2011, to celebrate the art and business of writing. Sponsored by the Division of Humanities, the program will include sessions on fiction and nonfiction writing, nature and science writing, writing for children and young adults, journalism, and more. The event, called A Writer's Life, is free and open to the public. It dovetails with UCSC's Reunion Weekend Intellectual Forum, to be held April 30, which will include a roundtable with best-selling alumni authors. The keynote speaker is David Talbot, founder of Salon.com and best-selling author of Brothers: The Hidden History of the Kennedy Years. 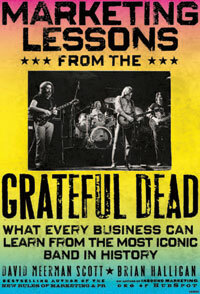 Inspired by a thought-provoking article in Atlantic magazine titled "Management Secrets of the Grateful Dead," Boston writers David Meerman Scott and Brian Halligan recently published a book called Marketing Lessons from the Grateful Dead. Including a foreword by basketball legend Bill Walton, plus photos by longtime Dead photographer Jay Blakesberg, the book describes how the band's marketing strategy has become the quintessential model for the Internet age. But here's the best part: 25 percent of the royalties will be donated directly to UCSC's Grateful Dead Archive. "The Grateful Dead were famous for their devotion to charitable causes," explained Nicholas Meriwether, UCSC's Grateful Dead archivist, "and that is another lesson from the band that David and Brian took to heart." 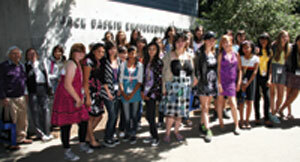 Twenty-nine middle school girls graduated from the fourth annual Girls in Engineering program this summer. The seventh- and eighth-grade girls from schools in Monterey and Santa Cruz counties conducted experiments, built towers with toothpicks and marshmallows, programmed software to control robots, and devised packaging to help an egg survive a plunge from the third floor of the Baskin School of Engineering to the sidewalk below. Along the way they had daily visits from women employed in various engineering fields and enjoyed field trips to such places as Google's campus in Mountain View. UCSC benefactors Jack Baskin and wife Peggy Downes Baskin have supported the program conducted with UCSC's Educational Partnership Center since it began in 2006. Professor of anthropology Alison Galloway was selected as UCSC's new campus provost/executive vice chancellor. She started her new job in September, replacing former CP/EVC Dave Kliger. "A big part of my job will be to anticipate what's coming and be sure we are prepared," said Galloway. In an era of tight budgets, she plans to make fiscal decisions with an eye toward what will best serve faculty and students. 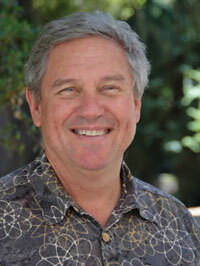 Galloway stepped down as vice provost of academic affairs and dean of UCSC Extension. She has also served previously as chair of the UCSC Academic Senate, campus diversity officer for faculty, and department chair of anthropology. Galloway was selected by Chancellor George Blumenthal and approved by the UC Regents.